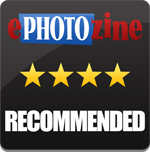 We review the new Ricoh GXR Leica M Mount A12, featuring a 12.3 megapixel APS-C sensor and Leica M mount. 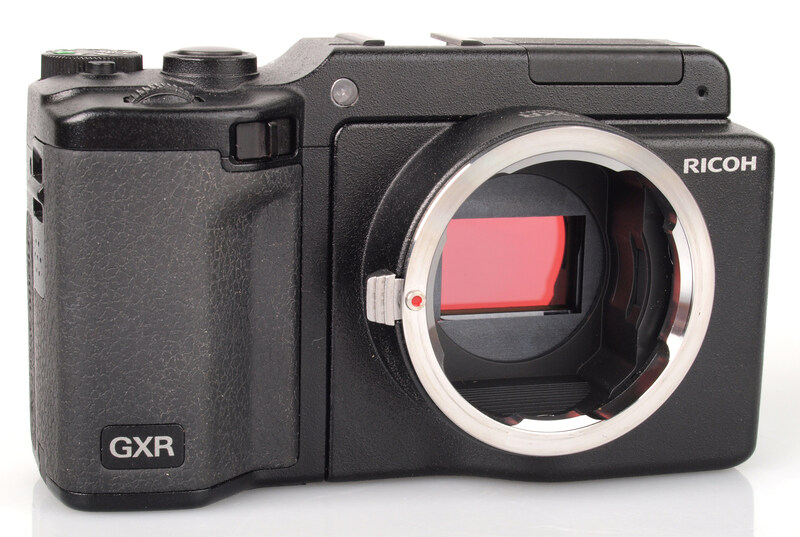 Joshua Waller looks at the new Ricoh GXR M Mount (A12) - it's a Leica M Mount module for the Ricoh GXR system, with a 12.3 megapixel APS-C sensor, giving a 1.5x crop factor and the ability to support Leica M lenses at a much lower price than the official Leica M digital cameras. 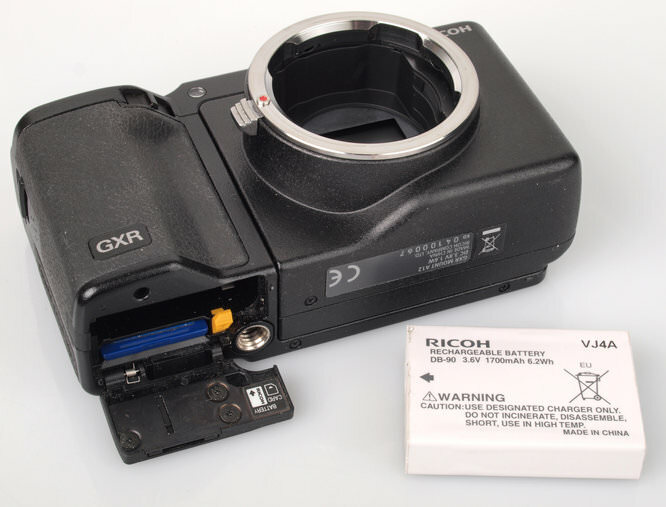 The Ricoh GXR M Mount A12 comes with a plastic widget to make sure that the Leica M lens you are using won't make contact with the electronic shutter in the unit. 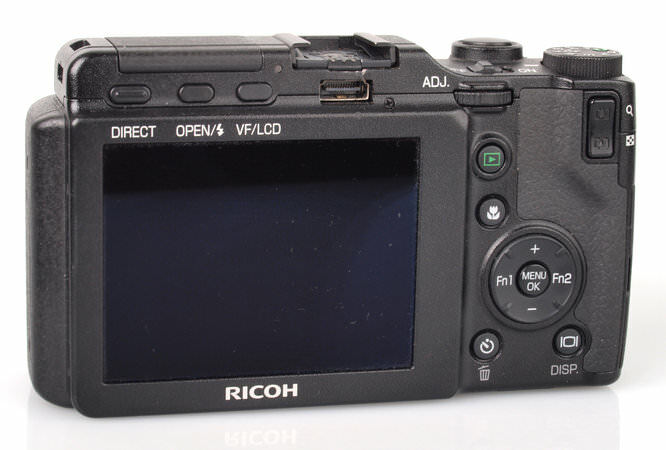 When the lens is off the camera, the sensor is covered by the electronic shutter. The M Mount is one of five different lens units available for the GXR body, with the others being the P10 28-300mm VC unit (above left), the 28mm f/2.5 lens unit (middle), Ricoh GXR M Mount A12 (right), 50mm macro and 24-72mm (not shown). 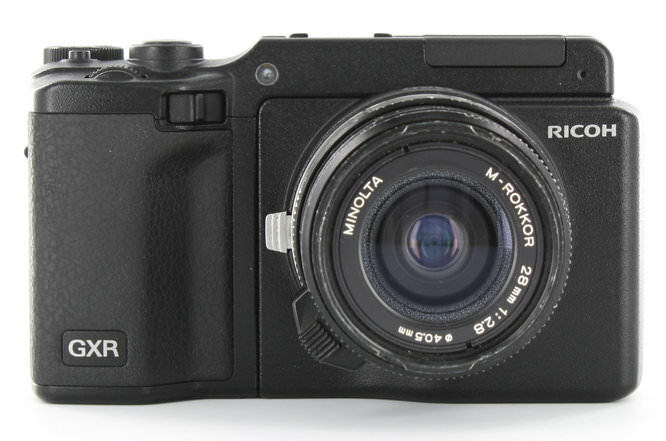 Ricoh GXR M Mount A12 with Minolta M-Rokkor 28mm f/2.8 lens. The idea behind the system is that you buy the GXR body and lens unit, then when you are familiar with the system and controls you can switch to a different lens when needed. Much like an interchangeable lens camera, however the lens and sensor units are said to be optimised for each other, with the P10 with 10.7x optical zoom lens and compact sensor being much more compact than a 10x zoom lens would be on a large sensor Digital SLR or Compact System Camera. Handling / Controls / Buttons - The body of the GXR system is the same regardless of what lens and sensor unit you attach to the camera and therefore this enables you to become familiar with the camera buttons and controls. The camera features a number of customisable function buttons, and an ADJ / Adjust dial that lets you quickly set the most common options such as white balance, ISO, image quality, colour and focus point. The front scroll wheel lets you quickly scroll through the options. The A12 Leica M Mount comes with a body cap adding to the overall dimensions of the camera and depending on which lens you use with it, could cause the camera to become unbalanced. Menus - The menus are the same regardless of what sensor / lens unit you use on the camera, however some of the features and options alter slightly depending on the module, for example some have extended ISO settings, or high speed shooting and HDR (in the case of the P10). The menus are very logically laid out and the high resolution screen makes reading them easy as the text is very clear. The menu system is split into three main areas: photo shooting menu, key custom options and the setup menu. The key custom options menu lets you customise what the ADJ menu options are, what the Function, Up, Down and Zoom buttons do. The ADJ button can also be set to quickly change the ISO setting without having to press it down. Battery Life - Battery life alters depending on what module is connected and with the M Mount it is rated at 330 shots. We managed to take 320 photos using mostly the M Mount, with the P10 and A12 28mm unit used as well. Speed - We tested each camera's performance at focusing, shutter response, shot to shot time, continuous shooting etc and have posted the results below. To test this we took 6 or more shots and calculated the average, so that consistent results were produced, we also made sure to test all the cameras at the same time to ensure the cameras were being tested under the same conditions. The camera provides fast shutter response, good continuous shooting at roughly 2.5fps. Shot to shot time could be quicker but was certainly reasonable. The manual focus lens means you don't have to wait for the camera focus, which certainly makes it feel like a much quicker camera. The camera also has a "peaking" manual focus mode that allows you to quickly check focus is correct (called focus assist in the menus). Click to view larger or click "Hi-Res" to view full size sample photos. 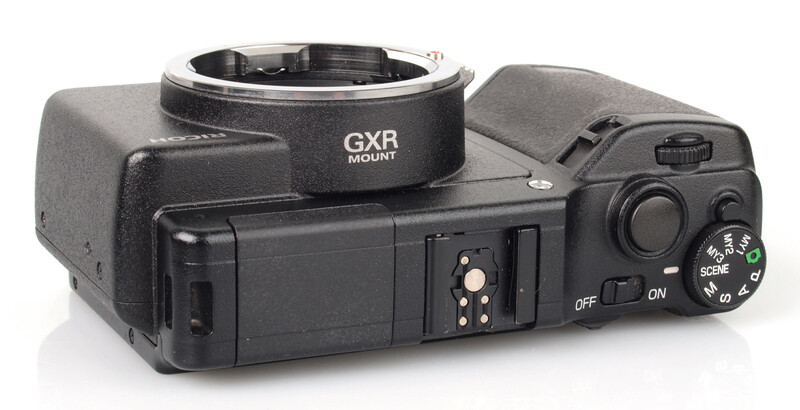 Additional photos and product shots can be found in the Equipment Database for the Ricoh GXR M Mount - where you can add your own review and photos. Sample photos - Taking photos in low light and a high ISO setting produces images with film like grain on the images, while keeping detail and colour good. The lens used produces some very nice star effects on any bright light sources. Lens test images - The lens used was the Minolta M-Rokkor 28mm f/2.8 lens which performed extremely well in a variety of conditions, producing very little lens flare, lots of detail and a lack of purple fringing in the photo of the trees above. ISO noise performance - The camera gives a good range of ISO settings from ISO100 to ISO3200. ISO100 and ISO200 results are very good with low noise and good detail and colour. ISO400 shows an increase in noise. ISO800 shows another increase in noise, although results are still very usable. ISO1600 shows more noise again, but the results are usable with a film-like quality to the noise. At ISO3200 noise is at it's highest and colour drops slightly. ISO3200 images would be best used resized, or converted to black and white for a film style look. Auto White Balance performance - AWB produces images with a yellow cast under tungsten lighting and using the tungsten preset produces much more accurate colours. Under fluorescent lighting the camera produces good results with just a slight colour cast. Detail is good even in the shadow areas. Digital Filters / Panoramic mode, Scene modes: The GXR does not feature many digital filters or much in the way of creative effects, however it does feature the following scene modes: Movie, Portrait, Sports, Landscape, Nightscape, Skew correct mode, miniature, high contrast black and white, soft focus, cross process, toy camera and electronic shutter. Video: 1280x720 / 30fps is available on each camera. The video mode is accessed through the Scene mode on the dial, which makes it not the most easy to access. 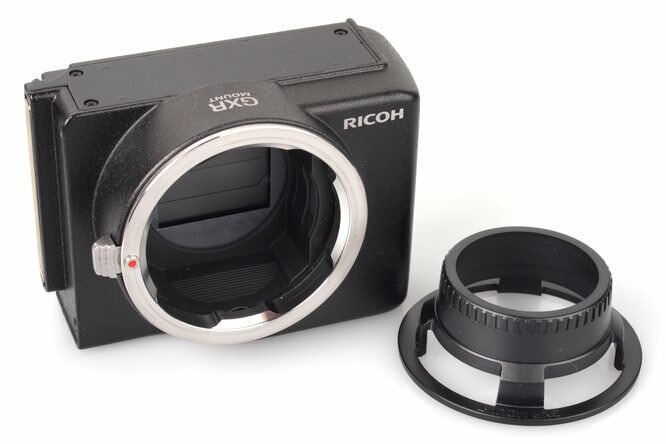 The Ricoh GXR plus Leica M module costs £250 for the GXR body and £549 for the Lecia M mount and sensor unit, making it £800 for a Leica M Mount digital camera. A real Leica M mount digital camera, such as the Leica M9 or M9-P, would cost you £4,689 / £5115 respectively and due to a full frame sensor have no crop factor. This makes it exceptional value for money, although it's not the only route into using Leica M mount lenses on a digital camera, with a Leica M Mount to Micro Four Thirds mount available from around £19 on eBay and Micro Four Thirds cameras available from around £350, but with a 2x crop factor. The Ricoh GXR with M Mount module is a great camera to use with the camera providing quick shutter response, a good manual focusing display and a solid well designed body. The quick focus lever on the Minolta M-Rokkor lens used with the camera is a great feature and if you have the choice of what lens you want to use then this really helps focus quickly. Image quality is excellent and images have low noise combined with good colour. The Ricoh GXR M Mount A12 unit is a high quality digital camera that makes an affordable mini-Leica. £529 for a mount ? I guess someone who wants to use their Leica M-mount lenses but doesn't have £4,500 to £5000 lying around. I'd be fairly happy to have a Contax mount for some of my Contax and Yashica lenses too.